Most businesses today spring from someone’s dream, their inspiration, and the motivation and drive to create products or services that may have not been there before. The reality of founding a new company, however, usually means many hours at the office, enormous sweat equity, and what may seem like countless steps (many of them uphill!) to that launch—and continued success afterward. Once you are up and running, it is vital to either handle or delegate financial matters, ordering, employee hiring and scheduling, and most importantly, continuing to bring in loyal customers. Your livelihood (and that of everyone who works for you) is centered around the unique products and services that keep people coming in, and because of that they must be guarded. 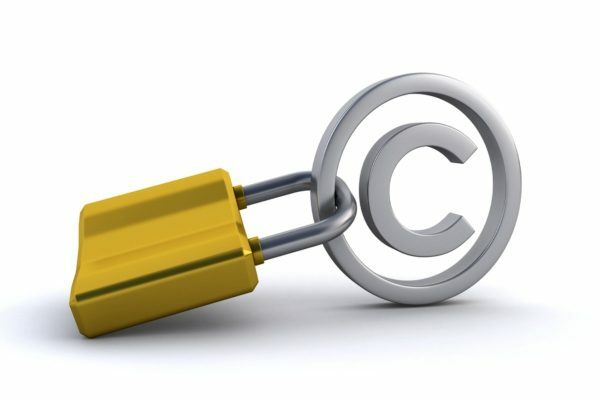 And while either you specifically have created intellectual property relevant to your business, or partners or employees or independent contractors may have done so, your copyrights, trademarks, and patents should not be left open to outside parties who may have every intention of taking them for their own later. One of the most interesting facts about intellectual property that most are not aware of until they begin considering licenses is that once you create it, the rights are yours. 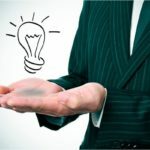 The intellectual property does belong to you, and is protected by common law, but that doesn’t do much for you in a court of law if you must sue another party for stealing a patent or infringing on a trademark. In working with your intellectual property attorney to register your works, you will learn that all patents and trademarks are approved and licensed through the United States Patent and Trademark Office. The USPTO oversees processes for trademark applications and patent applications. As you move forward to register a trademark or a service mark, it is vital to select one that is registrable and realistically, will be one that can be protected legally. You must be able to establish what your mark format as, along with identifying the products and services connected with it. Trademark fees vary, but once everything is submitted, the review process could take months. Once approved, it is yours for ten years, and can be renewed for ten more years after that. In registering a patent, you must include a summary outlining the details of the patent and how it works, any relevant drawings, and then again, the application and fees. The wait for approval could be up to several years, but once approved it is good for around 20 years from the filing date. You may have simple insurance needs, spanning one or two cars that must be covered, and perhaps health and life insurance policies covered for work. Or you may have a long list of insurance policies protecting not only you and your family, but also your home, business, and professional life. You may also be in the habit of purchasing other types of insurance too, such as travel insurance, credit card protection, and more. If you have a lot of money to throw around, buying numerous insurance policies may have little impact on your finances, and serves to protect them—along with giving you peace of mind. For most of us though, paying premiums can be challenging, and there is not that usual element of having a tangible retail item to enjoy. The true value of insurance may never become apparent if a claim is never filed; in fact, you may look at years of premiums that were paid in, with thousands of dollars put toward what seems like nothing! In such a case, insurance may have seemed like a waste of money, but the alternative is to leave yourself unprotected and open to the possibility of financial ruin. Your car is a good example of both the tangibility and intangibility of insurance. While you may be a car buff or not—super proud of your ride or just glad to have a commute—when you buy a car you are enjoying an object that you can sit in, admire, use, perform required maintenance on or make improvements on as desired. It does require protection in case of an accident (as do you) though, and if property damage or injuries occur, that is when insurance suddenly becomes very real—with numerous ‘wheels’ going into motion immediately when a claim is filed. And although your insurance policy may have just been a stack of papers initially, once you receive payment (or a settlement) for a claim and are able to rectify damages, it translates into a return on all the premiums that you paid—and sometimes quite a substantial one. In other cases, there could be challenges in receiving payment for a claim. 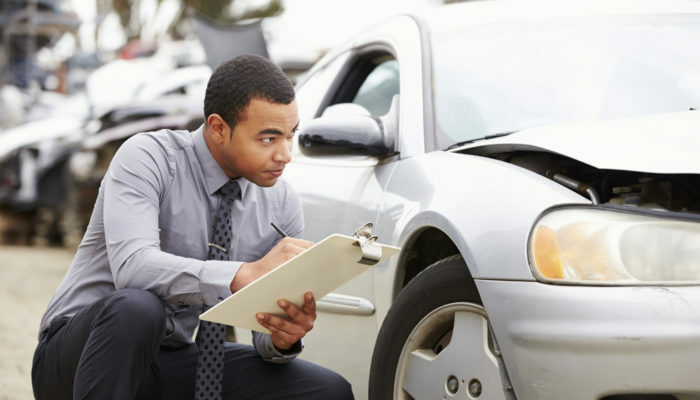 You may have been working with an injury or car accident attorney already, but if you suspect bad faith practices due to delays or outright denials of claims, it is time to consult with a firm like the Bolender Law Firm, skilled in dealing with bad faith insurance law. 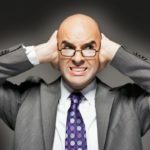 While litigation may be extremely effective—and required—to resolve a wide range of disputes, many business owners who have never been involved in a legal issue before are surprised to find that alternative dispute resolution is not only available as an option but yields success in most cases where it is used. Mediation may be required by the court for some types of civil cases, such as divorce, but if you are considering using this type of ADR as a business owner, chances are you are doing so voluntarily. For the small business, mediation can be a serious benefit. A long and drawn-out court case could be enough to bankrupt some companies—and especially if an outrageous settlement is required at the end on their part. 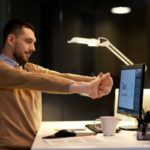 If you are having a dispute currently, you probably want it to end as quickly and as quietly as possible, whether the problem is with another business owner or a supplier, or perhaps someone who works for you whether they are full-time or were hired on as an independent contractor. The dispute may be over a financial matter, or other issues such as rights to intellectual property. Mediation offers a more relaxed and affordable (in comparison to litigation) way to reach a resolution, all of which is positive for the small business owner. The mediator can usually offer flexible scheduling too, which is in stark comparison to litigation where the court docket may be so full that the case is not heard for months, could be continued, and re-scheduling means even further, extensive delays. 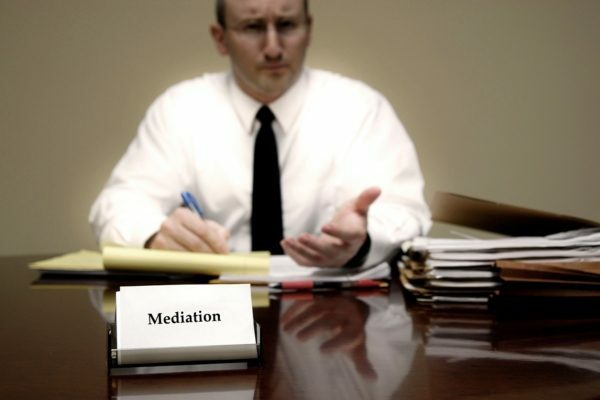 In mediation, cases are resolved much more swiftly—even in the matter of an afternoon for some. Preservation of relationships is also key for many newer and smaller businesses, and this is one of the most substantial advantages in mediation. Just the fact that everyone has agreed to alternative dispute resolution is a sign of their willingness to work the problems out. This could be for many reasons, but often may be due to a working or personal relationship you have had for years and do not want to destroy, or because you and the other party have the potential to keep working together in the future even though there has been a serious dispute; in fact, the process may improve your relationship with the other party enormously, as many problem-solving skills taken from mediation help participants far beyond the mediation. How much do you really know about your insurance policy, from auto to home to life insurance or general liability? When you think about it, the answer may be that you know surprisingly little—and as complicated and as full of technical jargon as your policy may be, your insurance agent’s knowledge may not be as comprehensive as you hoped either. Declarations – this is the basic first page, but very important to doublecheck when you receive your policy as it should include everyone who is covered as well as general information about the policy and timeframes encompassed. Coverage – property and damages that will be covered in the event of a claim are explained in detail; liability coverage may be explained here too. Premiums & deductibles – this is one of the most important parts of your policy as it explains how much you are due to pay, when, and the extent of your deductibles. Exclusions & limits – here, you can understand what types of coverage will not be covered in your policy, along with other types of coverage that will be paid in the event of a claim but only to a certain dollar amount. Conditions – what must be met for the claim to be paid; for instance, a damaged home should be secured after catastrophe to protect it as much as possible from further decline, law enforcement should be called if necessary in the case of an accident, and the policyholder must comply with investigations carried about by the adjuster. Endorsements – additional insurance coverage that can be purchased at extra expense outside the basics of the policy. The business world can be extremely rewarding, but also harsh. As the owner of a company—whether it is large or small—your responsibilities may be vast. There may a substantial number of employees, requiring formal policies and procedures to be followed, and support from human resources. Finances and accounting play a major role. Orders must be made, suppliers must be paid. Most days are full of small triumphs, and sometimes massive headaches. Above all though, customers must keep rolling in the door! For those involved in new startups, there is little time for anything else except work, which makes life especially challenging in the face of a legal dispute. This can be even more devastating if it comes from within the company due to an employee or a partner’s dissatisfaction, or from another business, vendor, or even a client. Entering into a hostile courtroom scene with litigation may seem like an extremely unpleasant venture as well as an unnecessary one in many cases—and because of this, many who discover mediation as an option are pleasantly surprised. When both parties agree on mediation, it is obvious they want resolution, and often this is because of a partnership or a working relationship that has been long-standing and valuable, and is one that everyone wants to attempt to preserve. It may also be true that the relationship was an extremely profitable one over the years, and no one wants to see a financial loss (not to mention the expenses of litigation). The key to mediation is neutrality on the part of the mediator leading the sessions, and success is usually due to the relaxed atmosphere, affording greater flexibility in scheduling, and allowing the two parties in dispute to reach a settlement decision themselves. As an act of good faith, and to get off on a friendlier foot, one party will offer the other the chance to choose the mediator. They may want to have interviews with several mediators and although there could be some disagreement if the mediator chosen seems inappropriate, allowing the other party to have control initially is a good way to start. Although the mediator may be an expert in the field in which the dispute is centered around, what is most needed is experience in alternative dispute resolution and a persistent personality that will allow them to keep the disputing parties on track. This often requires taking a different tack or using a different technique if everyone reaches an impasse. Once an agreement is reached, the mediator is responsible for drafting all documents to be signed. 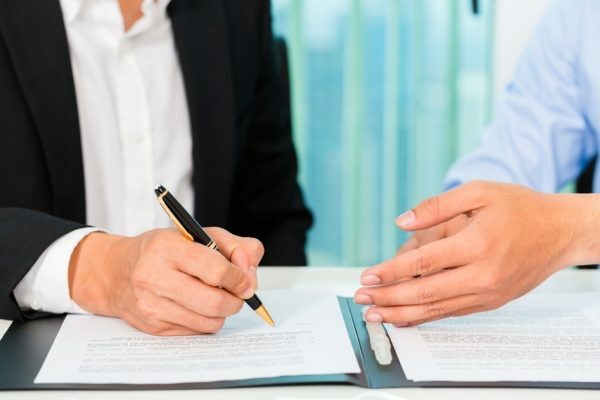 These may or may not be passed on to attorneys for approval, but once they are signed by authorized parties and given to the court, everyone involved is beholden to a binding agreement and must begin doing their part as outlined in the settlement. A car accident can be a terrifying experience, and the effects can be long-lasting. While some motorists are killed, others may suffer from neck and spinal injuries, traumatic brain injuries, serious burns, broken bones, and more. If you have been in a crash, and seriously injured, you may have lost hours at work while recuperating or you may have been forced to stop working completely—whether temporarily or permanently. This can be an extremely difficult time, and while the physical effects may drag on—so can the financial issues and the frustrations of filing an insurance claim. If you were in an automobile crash due to the negligence of another party, the claims process is more complex than just filing for an inconsequential fender bender that may have left a dent or chipped some paint. When injuries are caused due to an accident, and a police report is filed, you can bet that the adjusters for the other side will be on the case faster than you can say “I’m home from the emergency room!” You may find yourself surprised at how quickly they call, and at how many questions they have! This is not the time to be speaking to an insurance adjuster, but it is time to be consulting with an experienced injury attorney. Due to an impending lawsuit or settlement, it is in your best interest to let your attorney do all the talking when it comes to the insurance company. 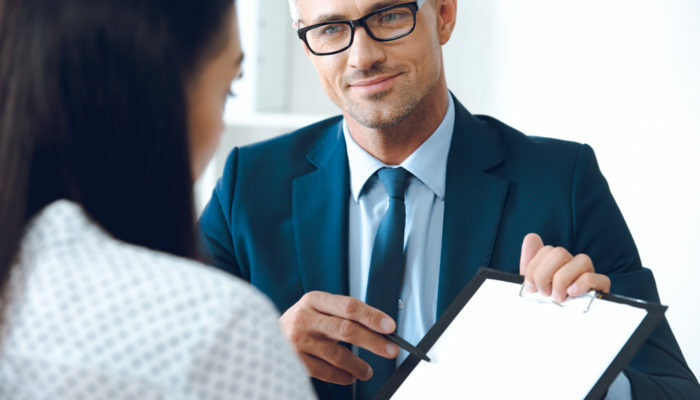 Without their help, you may find yourself being asked to do tape-recorded interviews, sign medical release forms and give access to medical records and other information, all the while feeling like you are in good hands because the adjusters come across as warm, empathetic, and trustworthy. What may truly be happening behind the scenes is that adjusters are gathering information to use against you later, so they can either deny you a settlement or get away with a lowball offer. Be wary also of bad faith practices such as no investigation of the case at all, failure to interview any witnesses who were on the scene, overlooking obvious evidence, delaying settlements, and denying claims with no cause. 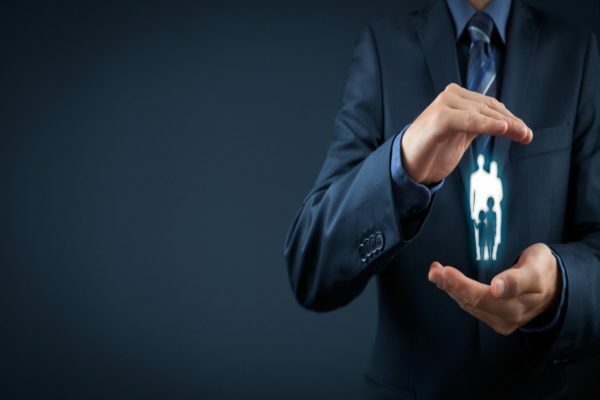 Does Your Insurer Seem to Suspect You of Fraud? It’s amazing how quickly the tides turn, and how fast a business relationship can change when one side is about to lose a substantial amount of money, or is worried about fraud. When you purchase insurance, everything is geared completely around you as the consumer—and gaining your business. With a smile and a handshake, you are on your way as the new owner of one or more policies, looking forward to having the peace of mind in knowing that the insurance company will protect you if something goes wrong (assuming it is not excluded from the policy). Unfortunately, that may be the best experience you ever have with your insurance company. On filing a claim, there is the potential for frustration and disappointment. Although insurance agents are there to provide you with a necessary product and usually do so with charisma and promises, they are not your friends. And insurance companies don’t report billions of dollars in profits each year without being tough; so, if you are filing a large claim, there could be some pushback before it is finally paid. You may be forced to jump through a lot of hoops you were not expecting either. Perhaps you are trying to collect on a homeowner’s claim after a fire, for instance. While you were completely innocent of any wrongdoing, you may suddenly find yourself at the mercy of the insurance company and investigation units, being interviewed by adjusters who want to record the conversations and retrace steps where the fire began, and more. While the process may seem very intense, it may just be routine. You should worry, however, if tactics begin to seem abusive. Are you being asked for excessive amounts of documentation—and personal information such as tax returns? Are you being subjected to accusations or are the adjusters or service reps taking on an intimidating attitude toward you in interviews or on the phone? 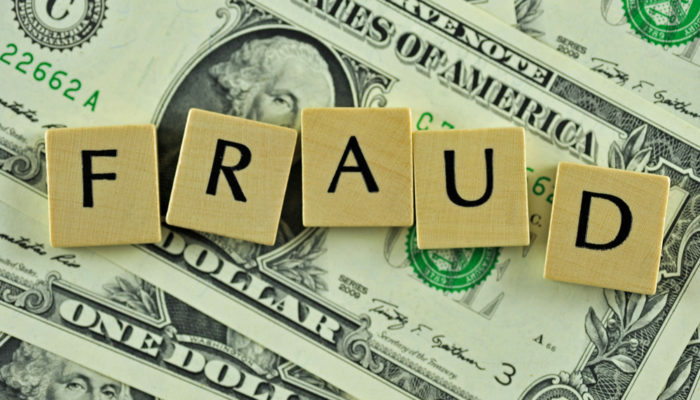 While it is possible that they could suspect fraud, and at least are spending an inordinate amount of time ruling it out, the insurer could be acting in bad faith. Along with abuse regarding intimidation techniques and requests that overwhelm policyholders, bad faith insurers often delay claims, delay investigations, offer ridiculously low settlements, and deny claims outright. If you suspect this is happening to you, it is not the time to go it alone. If you need help reviewing your insurance policy, or if you suspect your insurance company may be denying your claim in bad faith, contact the attorneys at the Bolender Law Firm. If a dispute over a claim cannot be easily resolved through a call or written communication, our attorneys will advocate on behalf of policyholders through litigation, arbitration, or non-binding mediation. Our attorneys are experienced in representing clients in state and federal courts, at both the trial and appellate level. Call us at 310-320-0725 now or submit an easy consultation request online. We are here to help! If you are a business owner in the US, the profits may be good, but your days may always seem to run in a deficit, without quite enough hours to get everything done–much less trying to figure out a business resolution with a sparring industry peer or employee. From continually figuring out ways to bring in new customers to managing the finances and a team of employees, you already have your work cut out for you. Whether you have been operating your own company for decades or are just starting out as an entrepreneur, the marketplace is competitive, and over time legal disputes may arise. Some may just call that the price of doing business, but the stress involved with an ongoing conflict—whether that be with another business, a supplier, a contractor, employer, or another entity you may have worked quite closely with—can be enormous. If this is the first time you have been presented with a legal issue, you may be relieved to find out that you can try to resolve it in a more relaxed setting. Mediation offers a long list of benefits to all parties involved, and the very fact that you are all in agreement to work on a settlement using alternative dispute resolution shows motivation. The process usually begins with the mediator opening the conversation privately with each party, so they have a full understanding of what the dispute is about. And although many mediators have different styles overall, they may choose one mediation technique over another as it suits your case. The mediator must remain neutral, and their role is to help you and the other parties come to an agreement yourselves; were they to side against one party, the process would be much less effective—not to mention confusing for the party being ‘decided’ against. With neutrality in place, the mediator can help both parties think outside of the box for resolution if they have reached a stalemate. 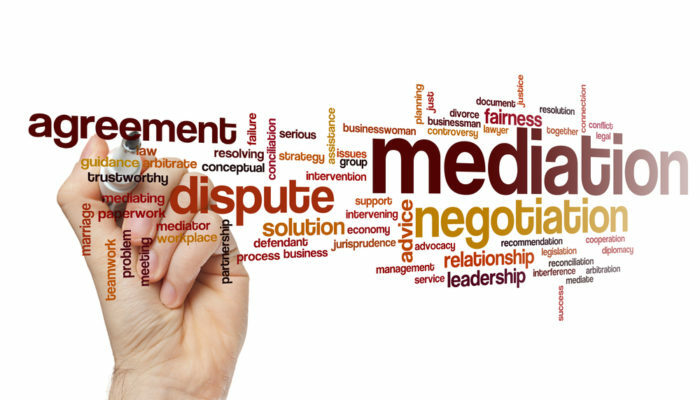 In most cases, mediation is successful because everyone involved wants it to work, they take the time to understand the other point of view, and the third-party (mediator) may be able to interject reality into the issue more effectively than the two parties could while in an adversarial stance. This is usually because of a long-standing—and in many cases—profitable business relationship that no one wants to see destroyed. Mediation is usually also much more affordable, scheduling is easier, and the outcome is reached much more quickly. Is Your Insurer Resorting to Abusive Tactics to Get Out of Paying? Insurance allows us to have things, keep them, and replace them if necessary—without being forced into financial ruin. And although the policies themselves sometimes tend to be complicated, the basic premise is simple: you find an insurer and then pay them premiums to protect against loss. This may be for any type of insurance, including auto insurance, health and life, homeowner’s, general liability, professional liability (errors and omissions), and more. The process usually starts out easily enough. Depending on what lines of insurance you seek, an agent or company most be sought out to help you with your purchase. Once you receive your policy, you have the peace of mind in knowing that your home or business is covered, and if something catastrophic were to happen, you would be okay. In the event of a claim, it may be that you were in an automobile accident due to the negligence of others, or you may have had a homeowner’s claim after a fire, weather event, or even a slip-and-fall accident by a guest at your home. Once the claim has been filed, an adjuster is assigned to the case and begins an initial investigation, usually hoping to interview you and anyone else involved. If they are working for the other side (for instance if you were in a car accident, and due to negligence the other party’s insurer will be paying out) and it appears a settlement may be in order, it is critical not only to have an injury attorney on your side, but also to refer all calls and questions to their office. In handling the insurance company on your own, you may not only find that they don’t take you as seriously as if you were working with an attorney, but the process may be slow and frustrating. This can be exponentially worse if they are guilty of practicing bad faith. You may find yourself facing incredibly long delays but getting little explanation—and/or it may seem that no one has even begun investigating your claim. Any settlement offers may be extremely low and unreasonable, or the insurer may begin trying to inconvenience you or intimidate you to the point where you drop the case altogether. Less aggressive tactics include pushing you to collect and submit volumes of documentation for your own case. If you think that is what’s happening, it is possible to push back by asking them to clearly explain why such excessive documentation is necessary. In other cases, you may be subjected to verbal abuse intended to make you back down. This could begin during the interview process and continue from there, to include making accusations which have no basis, threats insinuating there won’t be a settlement, and harassment of witnesses. It is in your best interest to have expert legal help from an experienced office like the Bolender Law Firm.